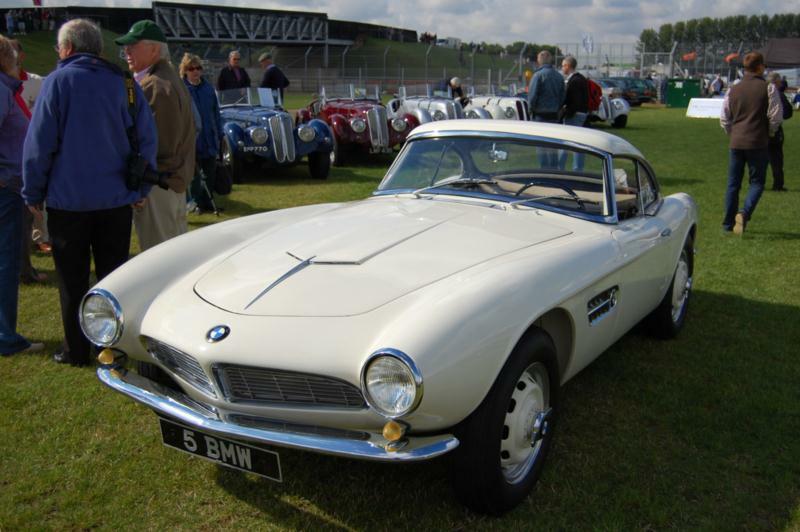 The BMW 507 was the brainchild of American Max Hoffman, then the East Coast importer of European sports and luxury cars. Hoffman believed the roadster could slot in nicely between the relatively inexpensive Triumphs and MGs coming out of England, and the exclusive Mercedes 300SL. A far cry from the motorcycle-engined Isetta, the 507 was based on the 502 sedan chassis and mechanicals, and it took its shape from designer Albrecht Goertz. Power came from a 3.2-liter, aluminum alloy V8. The overhead valve, pushrod unit breathed through a pair of Solex carbs, produced 155 horsepower, and was mated to a ZF four-speed manual transmission. Top speed was rated at just over 120 mph. 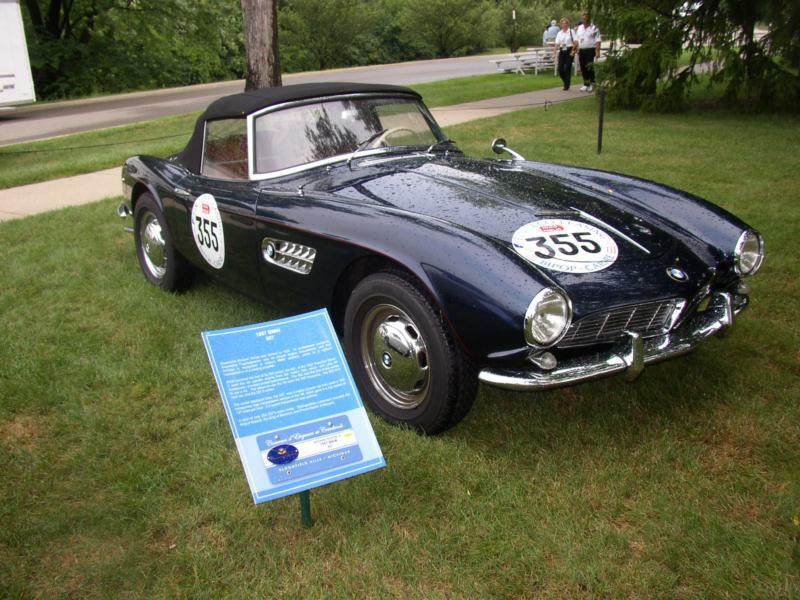 All 507s were roadsters, though BMW offered an optional removable steel hard top. Even without the hard top in place, the 507 tipped the scales at 2,900 pounds, so its svelted looks belied its heft. 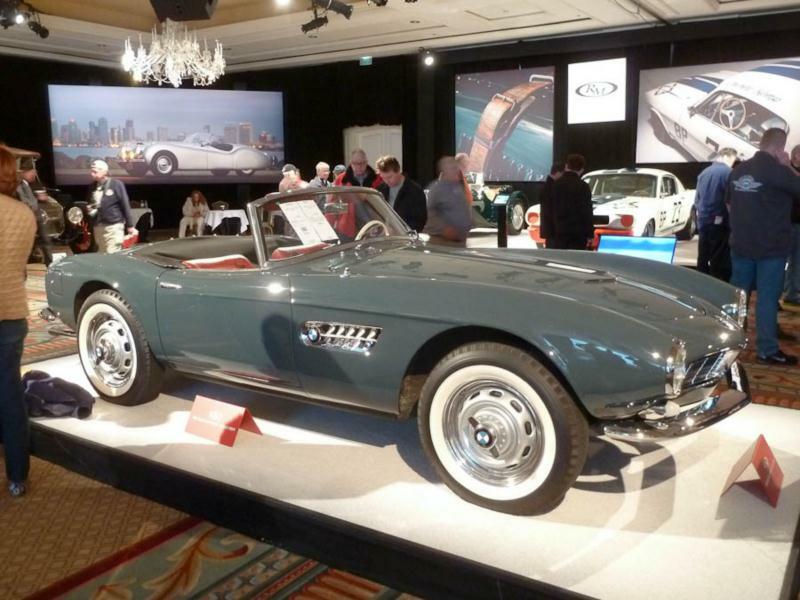 BMW at the time was still a small manufacturer that relied on complex, hand-built designs, and while Hoffman envisioned selling the car for about $5,000, the reality was closer to $9,000—an astronomical sum in the mid-1950s. As a result, the planned production run of about 5,000 per year went out the window, and in the end, just 252 cars were built over three years. 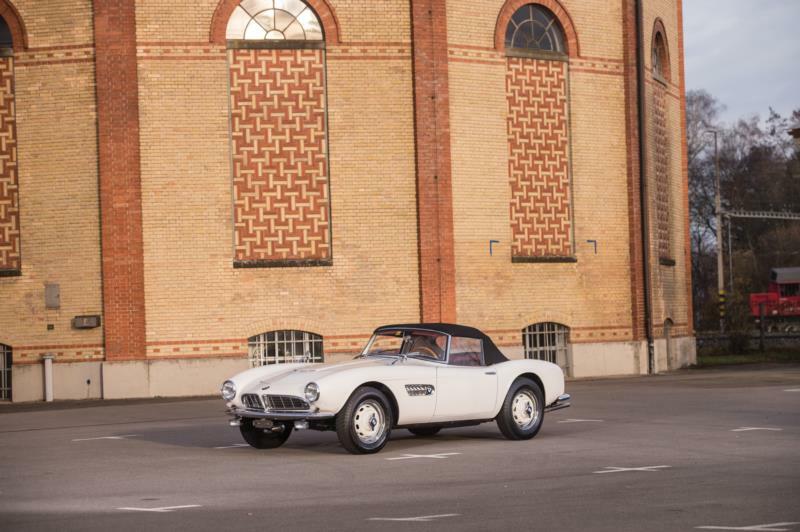 The BMW 507 was praised in period for good straight-line speed, and despite its weight and Alfin drum brakes rather than discs, the front double wishbones/torsion bar and live rear axle/torsion bar suspension made it something of a nimble handler. Girling disc brakes were offered up front in later cars, but it was too little, too late. Hoffman's dream to mass-market BMW in America would never come to fruition, though certainly the company would do alright for itself with its later run of small sports sedans.